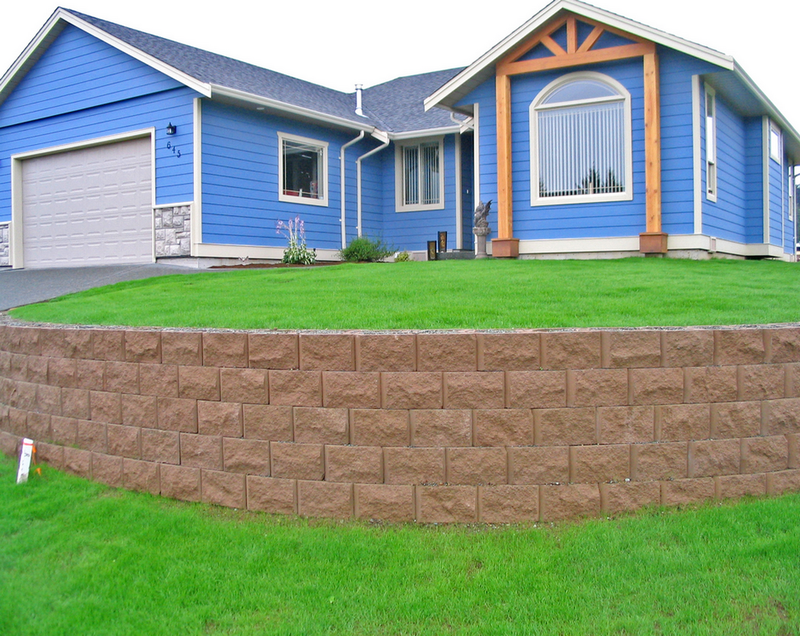 The TERRAFORCE L15 interlocking, mortarless, concrete hollow block retaining wall system provides the solution to projects requiring soil retaining walls, erosion protection, garden terracing and reinforced slopes. 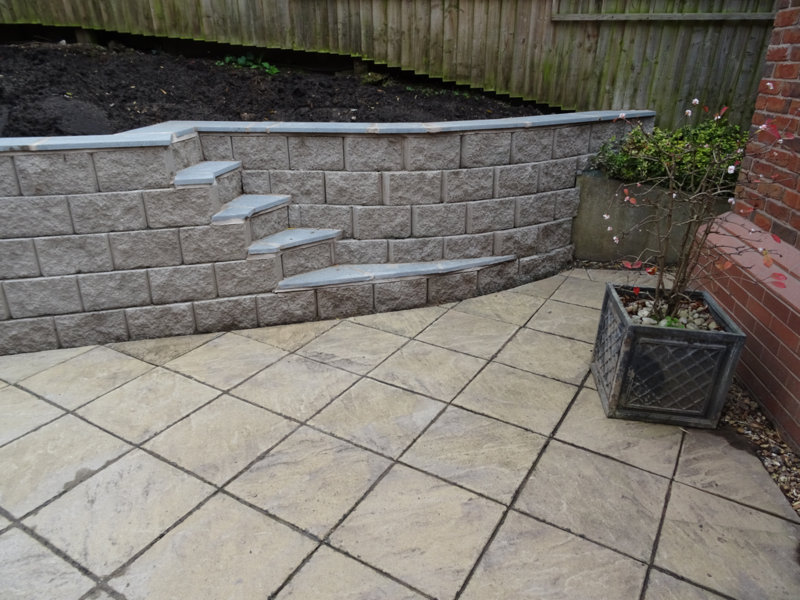 Uses range from landscaping, garden walls and terraces, as well as civil engineering projects where soil retaining is required. 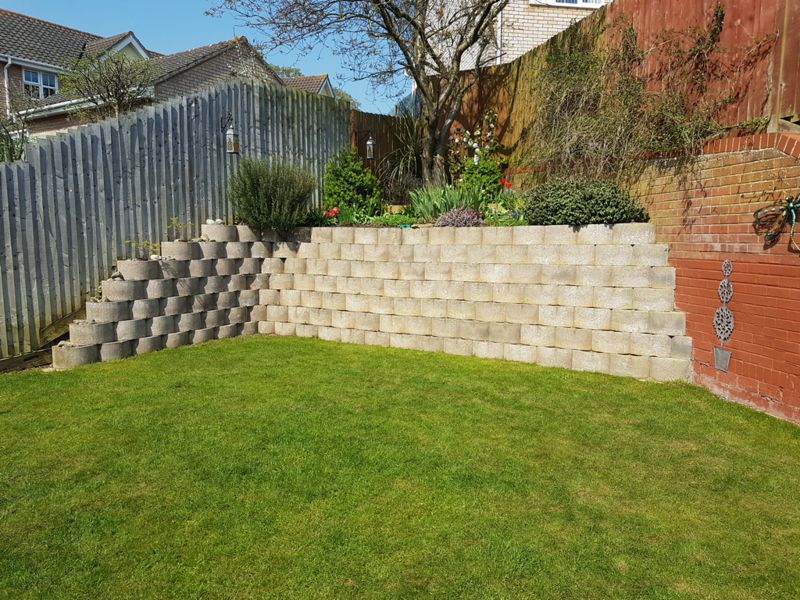 The design of the block gives flexibility to create corners, curves and a creative design. 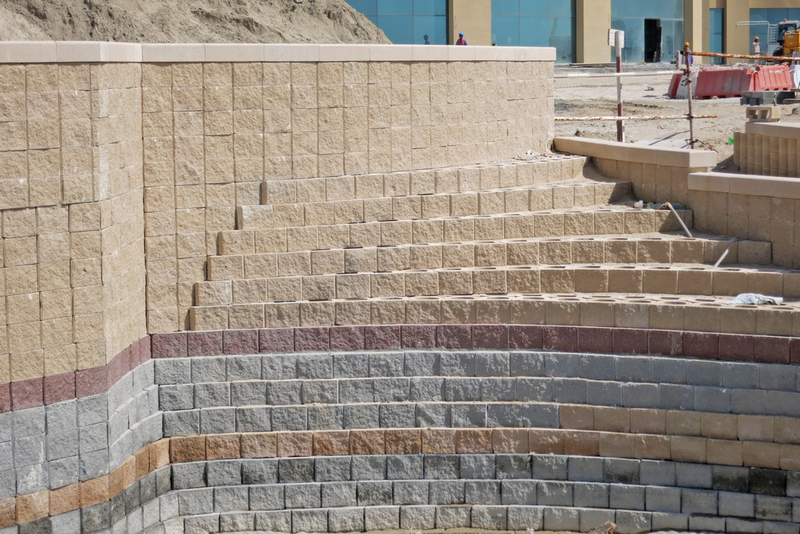 Each block provides the option of round smooth face, or flat rock face surface. 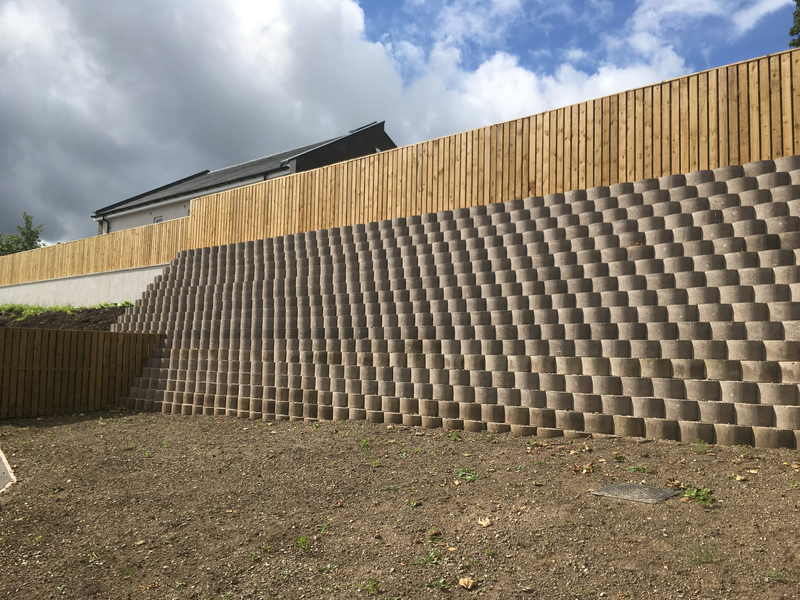 The block is aesthetically pleasing and versatile. 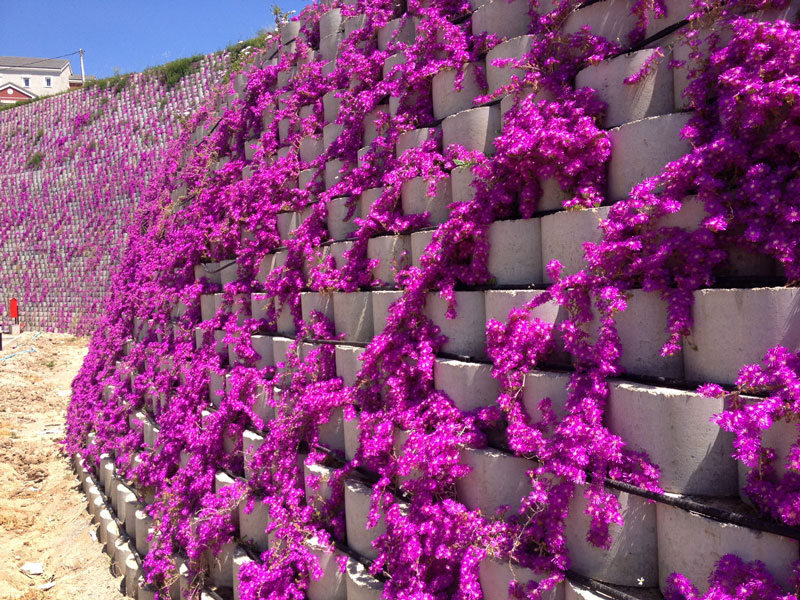 The hollow block can be attractively planted to produce an enhanced, softer, “living wall”. 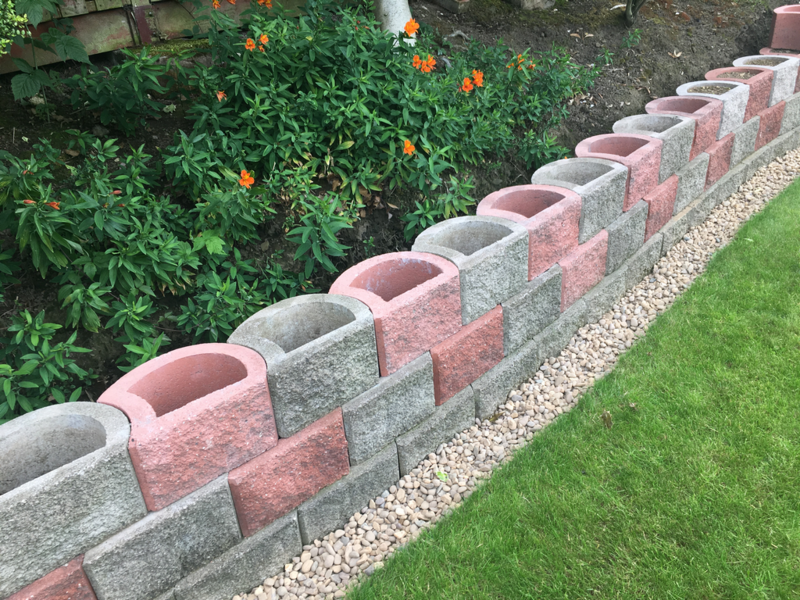 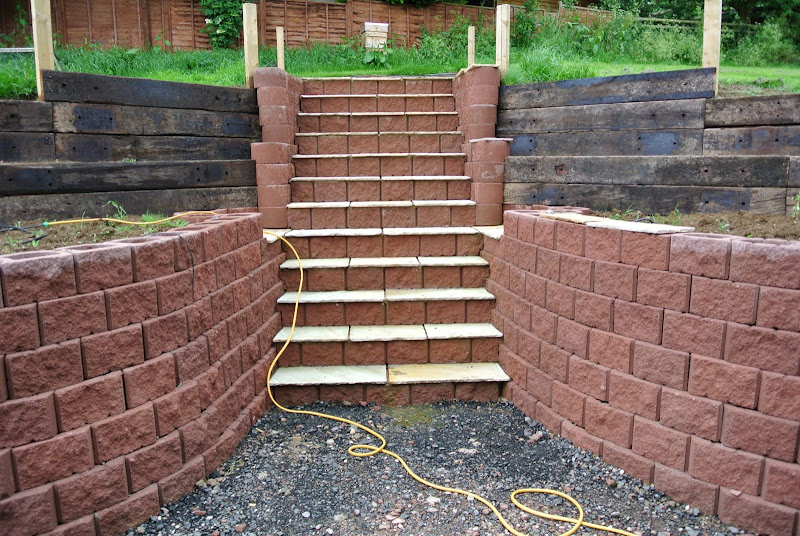 Installation is straightforward with no need for mortar between block as they are dry stacked and rely on an interlocking design resulting in quicker build time, minimum building consumables and, with a block weight of 20 kg, lifting equipment is not required. 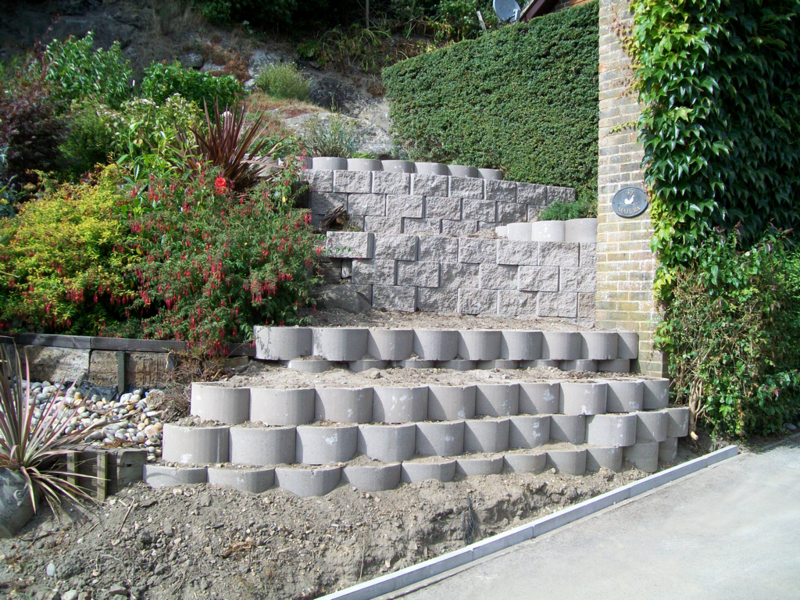 A retaining wall design service is available, free of charge, with a construction drawing being provided if required. 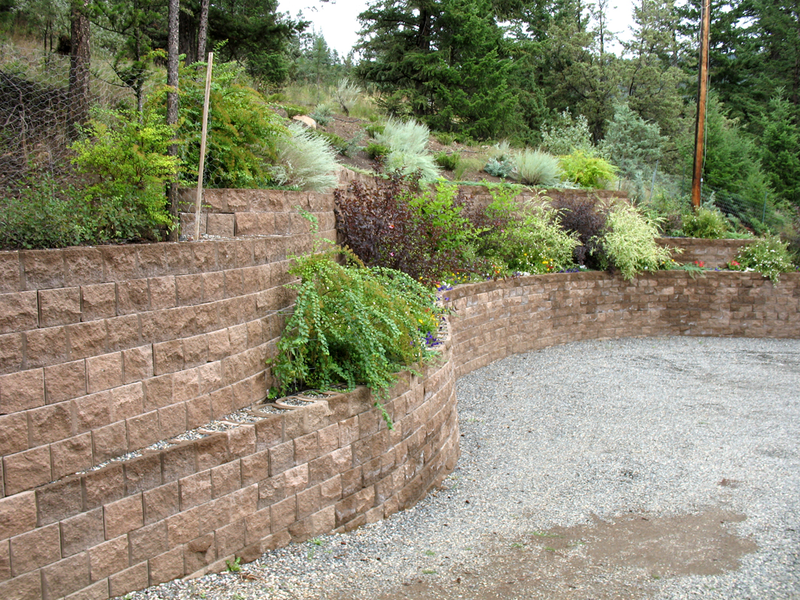 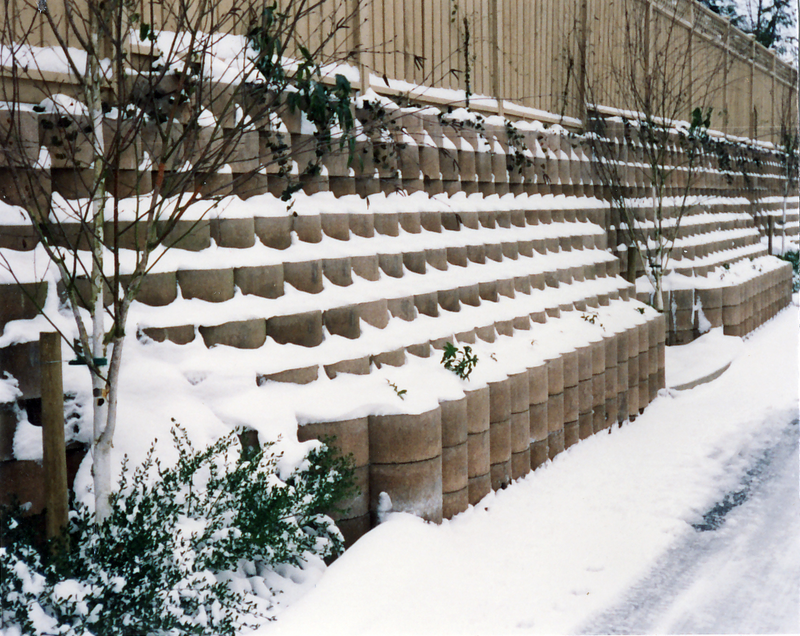 TERRAFORCE is an environmentally friendly, cost effective and attractive alternative to other retaining wall systems. 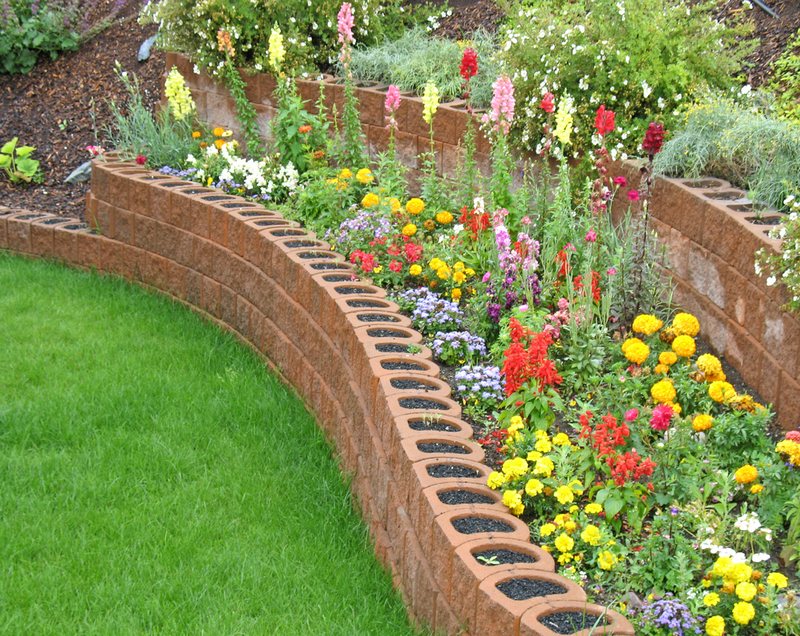 The half moon design provides opportunity to create convex and concave curves. 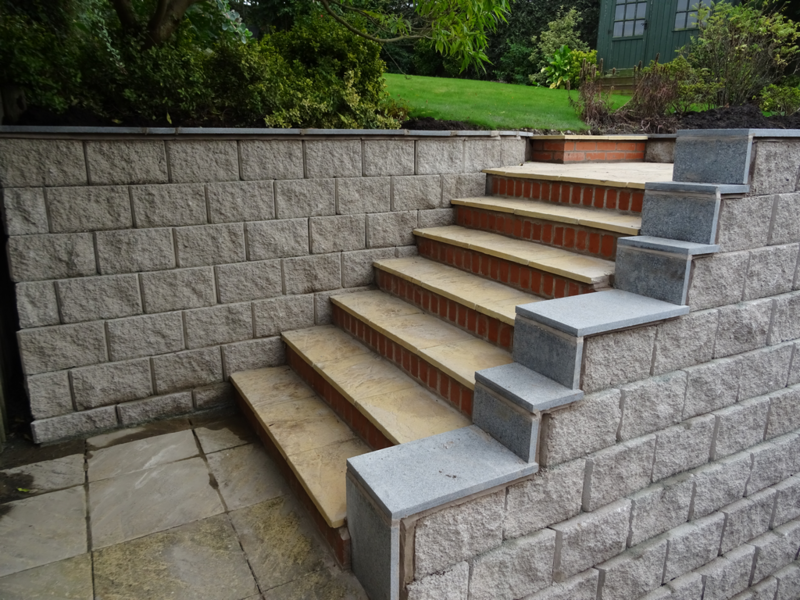 Attractive walls can be created using a combination of colour and layout. 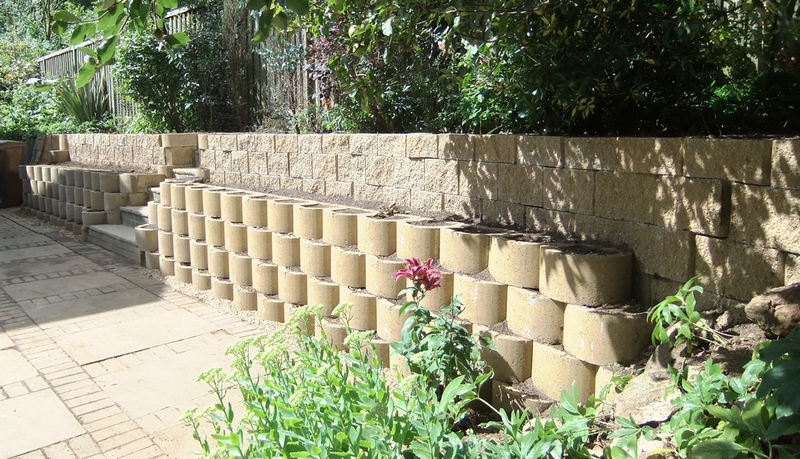 Walls 30 m high have been built using the TERRAFORCE system. 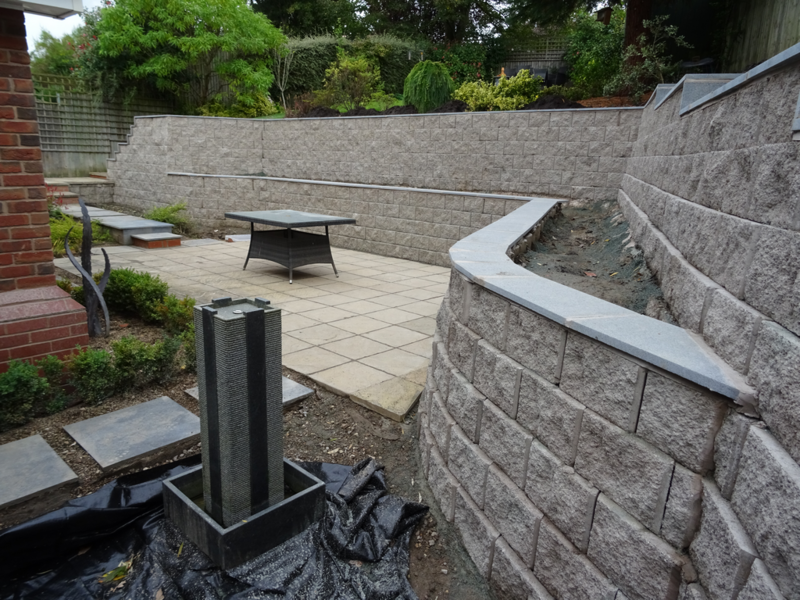 A bigger level garden area can be created by building a retaining wall on slopes and back filling with soil.